First off, Roof drain installation should be performed by a trained roofing professional. Whether you own a home or business with a flat roof you will need to choose an option to quickly and effectively remove water from your roof. Standing water can cause several problems. The growth of moss and mold are the least of your problems. Standing water will break down the outer protective finish on flat roofing materials. 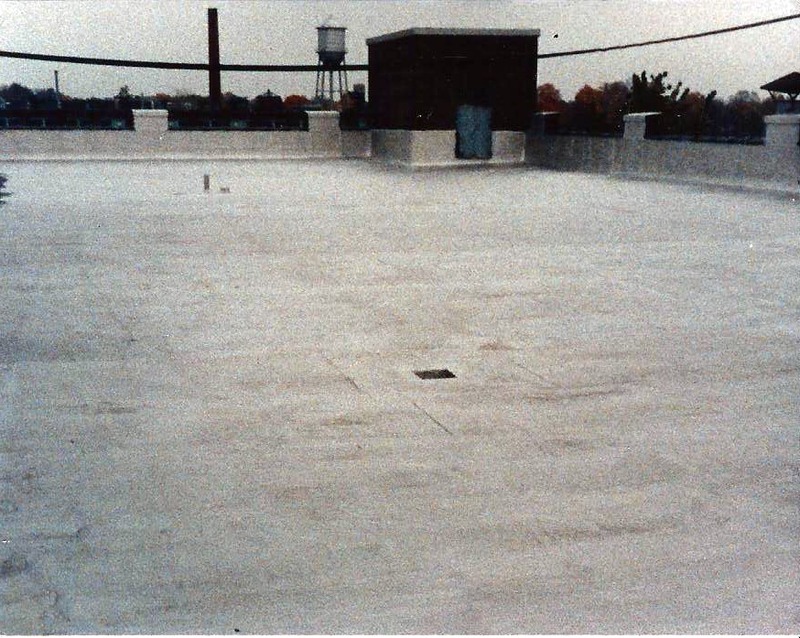 Flat roofing coating and seems (especially if installed improperly.) A twenty foot by twenty foot area with one inch of water weighs one ton. Your roofing system and decking is not designed to hold this kind of weight over a long period of time. There are several options on how to remove water from a flat or low slope roof. Gutters and downspouts are very common on residential flat roofs. Water follows the slope of the roof to the gutter and down the spout away from the house. This method however requires maintenance to avoid clogged downspouts. A roof drain is another option. By using this method water is directed through a series of pipes internally. That is why it is paramount that proper roof drain installation is performed by a professional flat roofer. Is your roof drain or internal pipes leak, it can cause extensive damage to your underlying roof deck and buildings interior.